While radio drama may be mainly a curiosity within American popular culture, the medium is still active and vibrant in other countries, particularly the UK. 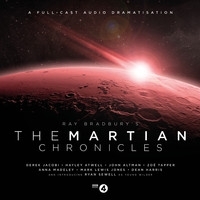 Current productions cover a range of genres, as shown by a 2014 BBC radio adaptation of The Martian Chronicles, which was recently released on CD and digitally. My review of this production, whose cast includes Derek Jacobi and Hayley Atwell, can be found at the website www.culturesonar.com.